Last year the Fourth of July was rained out and we were gearing up for our trip to Europe, so to say I wasn't really thinking of BBQ's and parties would be an understatement. This year however is a different story - we have a three day weekend ahead and a fun BBQ to attend, so what to wear is at the top of my list this week! // If I really don't want to think about my outfit, this nautical romper is perfect for the weekend! // I have been loving off the shoulder pieces and this Vince Camuto one is no exception - I actually like that it's a bit longer because I'm willing to bet it wont be as warm as we think it will be in Boston and I'll end up wearing jeans! //What I'll never tire of are big floppy hats and this blue straw one is perfect if you are planning to head to the beach! // The intricacy on this blouse is so pretty and there is just a hint of floral in the embroidered pattern // While I am not going to be sporting the American flag in any of my clothing, I think these sunglasses are so fun and for only $12 totally worth it! I mean I can think of at least two holiday's to wear them! //When in doubt just add a bold red lip and you're good to go! My favorite is Pomegranate by Bite Beauty! Without a doubt the most flattering red color for almost all skin tones! Bringing something for the host is a must - it doesn't have to break the bank, but showing your thanks for the invite and for them opening their home to you is always best and most appreciated! // You can pull a Ramona Singer and bring your favorite bottle of wine to share with the hosts - my favorite is Relax Riesling! You can also add a special touch to the wine bag by adding a really cute wine tag. //With that bottle of wine bring some cute napkins like this pack of 20 from Swoozies. //Bring something pre-made is always a nice touch. This red, white and blue salad is perfect because you can make it the morning of the event and it wont spoil! //It's pretty likely that you're headed to a BBQ this holiday weekend, so treat the host to some grilling rub! I'm 100% sure they'll be excited to add a little something extra to their grilling repertoire. //Headed to a pool party - bring this donut floatie that you have seen everywhere!! I actually didn't realize it was only $15!! What are your plans for the Fourth of July? Do you already know what you'll be wearing? I want to be at dinner by the water in that first pick!!! We are headed to our favorite beach town up North for our annual family vacation! So excited. I think I need those doughnut floaties for our teens! Lol. I know I will want to wear that red off the shoulder for sure! :-) Heres to BBQ's and celebrating America!! That pool donut is the cutest thing! And I still need to try that Relax wine! Obessed over your 4th inspiration! So many cute things! I totally had a bottle of Relax over the weekend, one of my favs! And you totally know how I feel about that donut float haha! Fourth of July, yayyy! Can't believe it's here- but it's always such a fun holiday. LOVE that off-the-shoulder top; such a stunner! Post twinning today :) Your hostess girls ideas are such great ideas! You know how I feel about Relax!! My fave. I think it;s going to be chilly here too so that off the shoulder top would be perfect! Great post and great choices. How exciting about all of your plans!! The romper is cute but the off the shoulder red top is perfect. 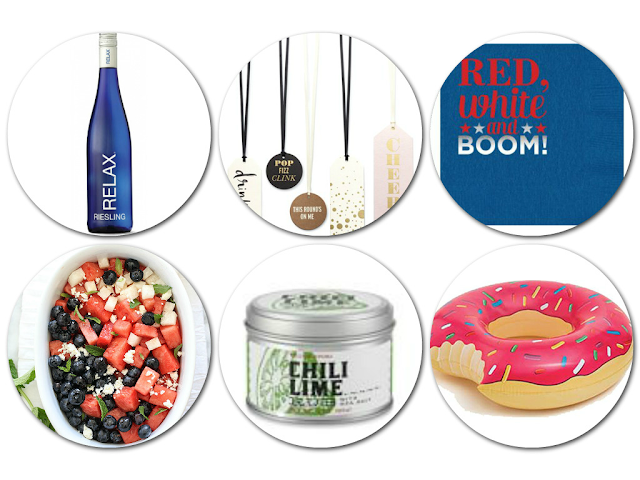 Relax Riesling is a great hostess gift! Hope the weather is nice for the weekend! That romper is to die for! Loving that tablescape! I love looking at what others bring as hostess gifts! The donut float is a great idea! I love all your hostess gift ideas- so perfect for summertime! And I looove that red off the shoulder top! I seriously need that nautical romper in my life! So cute. Hopefully you won't get rained out this year. Our weekend is already looking a little wet. 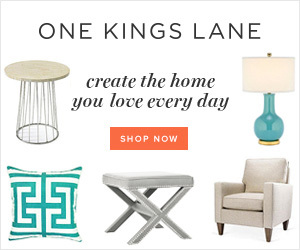 Loving all of this inspo! That romper is seriously adorable and I need that donut float! Can't wait for this weekend! I'm so glad you mentioned hostess gifts! I feel like that's an art that's being lost, and it's so nice and thoughtful! You listed some great options. That salad looks amazing! I may have to make it! Loooove your picks!! I adore the 4th and look forward to it each year, but this year I'm bummed because we will be celebrating without Eric. He has to work and we will visit family :( but I'm excited to celebrate with Mia! I keep seeing the donut floatie and it's cracking me up! I love all the red, white, and blue! I'm a sucker for July 4th and fireworks!! Love that embroidered blouse! The romper is cute too. Great picks, I want that doughnut float haha. We have some cute stars and stripes pieces at work which I'm guessing are going to sell out this week... :-) Love that off the shoulder top, so cute. I have to work on the 4th until 5:00 and we don't have any plans. Kind of depressing... :-/ Oh well we'll see what happens!! Have a great day today lady!! This is a great roundup! I don't think you can go wrong with any of your makeup/clothing choices and host gifts. We will be at Ryan's family's lake house for the weekend, so I'll just be living in my bathing suit! How perfect is that nautical romper for this weekend?! Love the cute cocktail napkins too! I cannot believe the 4th is this weekend! Where is summer going?! I love red white & blue... so classic. That donut float is so adorable. I didn't realize it was only $15 so cheap. I hope the weather is better than they say it will be. Not looking so good, right now. I love that pool float - so cute! I really need to figure out what to wear this weekend. We're going to a golf tournament, but are also camping in a tent. Definitely need something that can transition pretty easily. I have really been wanting an off the shoulder top lately but haven't found the perfect one. Love the one you picked out, the color is just perfect for the fourth! Also, that romper is so freaking cute! Love the hat and that romper is adorable! Great inspo pics. I want to sit down for a dinner by the ocean in that exact table. I don't mind even if it was with strangers lol. I've seen that doughnut floaty and want one so bad, haha! And bringing wine is always a must for me. Great inspiration girl! This is great! Hope you'll stop by my blog for my latest post! It's a skin care post! That romper is so Boston/Cape 4th perfect!! I love your hostess gifts! They're all such great ideas!! That romper is adorable!!! I love your lists. Happy almost 4th!! I wish I had the bravery to try that nautical romper! I think I'll be in leggings and a tank top on the 4th after 14 hours of driving through middle America! So fun! I can't wait to float in a pool on the fourth, on a donut would be nice. Those flag sunnies are so cute! And I'm really wishing I could down that bottle of Relax ;) We had just closed on our house last 4th, so we were super busy painting and moving and didn't get to enjoy it. We are headed to my in-law's lake house this year and I am so ready for some R 'n R! I am obsessed with the navy floppy hat! Those napkins are adorable – I love little touches like that! I’m on the same page as you haha I had no idea that float I’d been seeing everywhere was only $15!! Ann Taylor romper and the donut inner tube - that's all I need for a perfect 4th weekend!! I'm definitely buying that pool float for my parents pool! So cute and so much less expensive than others I've seen! So excited for this weekend!! I'm dying over that romper - I wish so badly I had time to get it before Saturday! And I've been seeing that Vince Camuto off the shoulder shirt everywhere, I think it's time to pull the trigger before it's completely sold out!! Cute off the shoulder top and I already have those same sunnies ready for the holiday weekend! Enjoy your BBQ party! 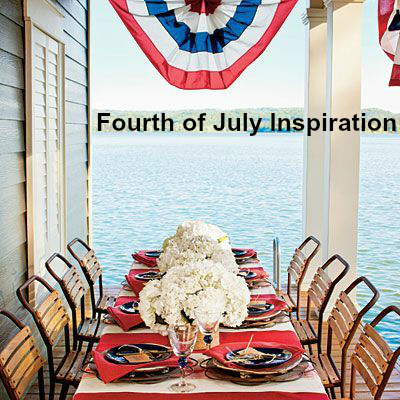 I love this 4th of July inspiration! Hope you're having a great week, Biana! Love this 4th of July inspiration, especially that donut floatie and those flag avatar glasses. Love all of these picks! Too cute! I have been eyeing that urban outfitters floaty for forever! i love all their food pool floatys :) and also love all those picks for 4th of july!! those sunglasses are so dang cute! have fun bbqing this weekend! those wine tags are to die for. would be so cute at my bachelorette! I definitely thought those pool floaters were more expensive too! They are so cute and I see them everywhere! Oh how I wish we had a pool for that reason. Even if we'd only be able to use it for 3-4 months of the year. I neeeeeeeeeeeeeeeeed those glasses, they are so fabulous! and I LOVE that off the shoulder top, so perfect for the season! Great picks, as always, lady! 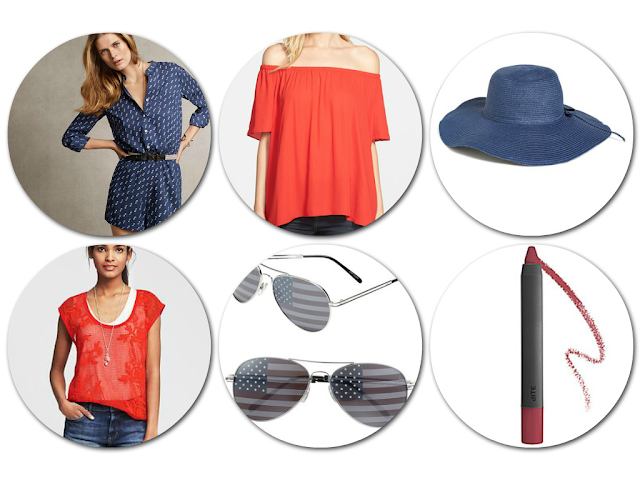 So I may have gone a little crazy last weekend and purchased three 4th inspired outfits just for this weekend. But hey, they aren't sooo over board that I can't wear them all summer long. (; Let's hope this weekend is actually sunny!